Mr. Magi was born and raised in Woodland Park, CO and is a Colorado native. 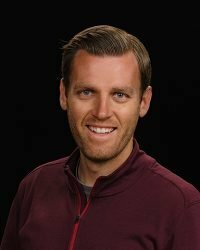 He received his bachelor’s degree at the University of Colorado at Colorado Springs in the Sports Health and Wellness program and his teaching licensure in K-12 Physical Education from Colorado State University- Pueblo. While at UCCS he was a collegiate athlete, playing for the men’s soccer team as a center midfielder. After playing college soccer he wanted to share his passion for this beautiful game with kids so he started coaching. He has been coaching club and high school for both boys and girls for several years. Although soccer has always been his main passion, he also loves the outdoors and all the activities that it provides. In the off-season he has been working for an outdoor adventure company in Buena Vista leading backpacking, rock climbing and rafting trips with people of all ages. Mr. Magi enjoys bringing his experience in sports and health and wellness to AcademyACL and sharing his passion with the kids.